South Korean company Dongjin Co., the largest producer of thermoformed packaging in South Korea recently ordered the second complete three-layer line with a Multi-Touch roll stack from German-Austrian machine manufacturer battenfeld-cincinnati. The line makes PE, PP and PS sheet in thicknesses ranging from 0.35 to 2 mm for thermoforming applications with outputs of up to 1,500 kg/hour. 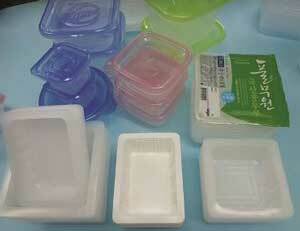 In South Korea, Dongjin is known as the largest producer of thermoformed packaging, most of which is exported, but some also sold on the domestic market. In 2015 the export rate was already 30%, with the main markets being the US and Japan. By expanding its plant, Dongjin wants to extend its product portfolio and intensify its market presence. The plastics processor and battenfeld-cincinnati have already been partners for more than 20 years. For sheet production, Dongjin uses seven lines from battenfeld-cincinnati: two seven-layer lines and five simple co-extrusion lines – two of which are for PS, two for PP or PS and one for PET. The new three-layer line for PS and PP sheet with the Multi-Touch roll stack will be added in the near future. “With the first Multi-Touch high-performance line we can produce 40% of the sheet needed and at lower energy cost”, says President/CEO Song Seok Hwan. Thanks to the new high-performance extrusion line, the processer now needs to buy significantly less sheet from external suppliers. This is an advantage, particularly as the investment cost of the line is paid off by the energy savings, says the machine maker. 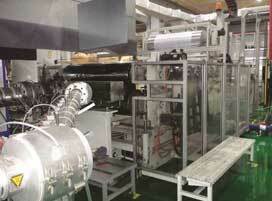 The complete line needs about 15-20% less energy than a conventional sheet extrusion line. The main driver of the energy savings is the high-speed extruder, the second key component of the line next to the Multi-Touch roll stack. With a screw diameter of 75 mm and a 40 D processing unit, the extruder reaches outputs of up to 2,000 kg/hour, depending on the material processed. Thanks to the optimised design of screw and barrel, the extruder ensures melt quality even at high screw speeds of up to 1,200 rev/minute and thus lays the foundation for high product quality. Quality combined with high transparency, flatness and even sheet thicknesses are the parameters sought by today’s packaging industry. The Multi-Touch roll stack has been designed particularly with this in mind. In contrast to conventional three-roll roll stacks, the new roll stack works with a large number of roll gaps which ensure reliable cooling and calibration of the upper and lower side of the sheet. In the Multi-Touch roll stack, the sheet first passes through a pre-calibration unit made up of two large rolls. Then the sheet reaches the re-calibration, which is equipped with either three, five or seven small rolls. Thanks to constant contact with the rolls, the sheet shows little orientation and a particularly even thickness profile with an accuracy of ±1%. This enhances the efficiency of the line, as significant material savings can be achieved compared to conventional sheet extrusion lines. Dongjin has been growing continuously since its foundation in 1975 and has kept expanding its product portfolio as well. 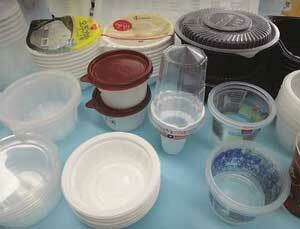 Today, about 450 employees work for the company, which produces packaging such as extruded sheet and thermoformed bowls, blow-moulded hollow containers and injection-moulded cups plus many other articles. Apart from three production plants in South Korea, Dongjin has a facility in Los Angeles/US and one in Yantai/China. In addition, the company has several sales offices worldwide.